Ideum to Exhibit at Association of Science-Technology Centers in Oct.
Ideum's creative work includes designing and planning complex AV installations, including video walls, projection mapping, theater projection, lighting, digital signage, and more. Ideum partners with leading AV tech firms, such as 3M, Barco, Christie, Crestron, Datapath, LG, and others, to provide more choices than other AV providers. Ideum has developed award-winning interactive exhibits involving complex projection mapping and custom integrated software. 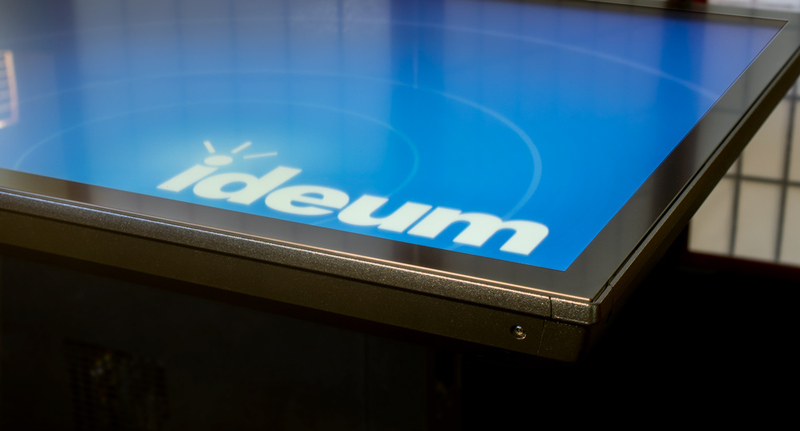 For the past ten years, Ideum has designed and built multitouch tables and touch displays for museums and other demanding spaces. We sell direct and ship worldwide. An expansive 86" LG Commercial 4K Ultra High Definition (UHD) multitouch table designed for demanding spaces. A turnkey, all in one high-performance interactive table with 3M™ touch technology. Available with a 43”, 49”, 55”, or 65” 4K UHD LG commercial display. All-in-one, high-performance touch table in a drafting design, with 3M™ touch technology. Available with LG Commercial 43”, 49”, 55”, or 65” 4K UHD displays. Our most powerful high-performance interactive table with 3M™ touch technology. Available with LG Commercial 49”, 55”, or 65” 4K UHD Displays. Coffee table with 3M™ touch technology. Available with LG Commercial 43", 49", or 55" 4K UHD displays and a powerful, fully integrated computer. An ultra-wide 100” multitouch table with dual 55” 4K Ultra High Definition (UHD) touch displays, push-button operation, and a powerful integrated computer. A turnkey, all-in-one high-performance interactive table with 3M™ touch technology. Available with LG Commercial 43", 49", 55", or 65" 4K UHD displays. Interactive multitouch walls with superior 3M™ touch technology. Available with LG Commercial 43", 49", 55", or 65" 4K Ultra High Definition (UHD) displays. All-in-one multitouch, motion-based kiosk with 3M™ touch technology and a 55" 4K Ultra (UHD) LG commercial display for per­ma­nent exhibits or temporary events. 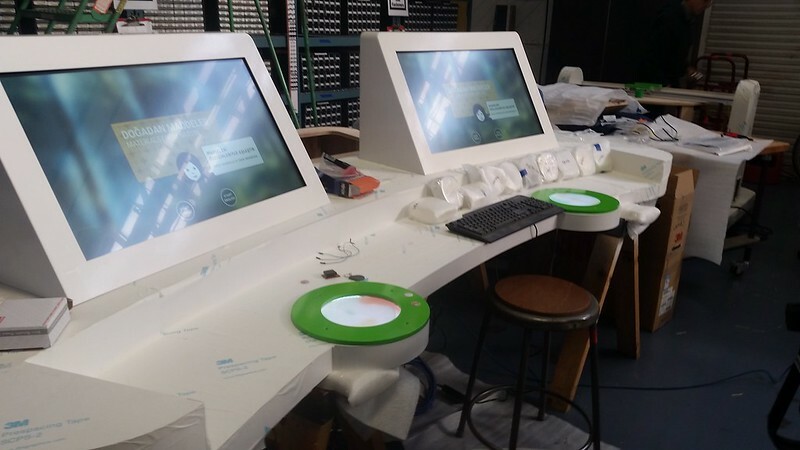 A series of frameless multitouch monitors designed to fit easily and seamlessly into a wide range of existing and custom exhibits, tables, and cabinetry. Ideum provides a series of HCI software tools that allow other design firms to author their own multitouch and tangible applications for our tables. Ideum is a creative company focused on using emerging technologies to design public installations and products that lead to meaningful and compelling user experiences. Our holistic approach to design, tech­nology, and the visitor experience sets us apart. While Ideum does many things, our mission remains clear: harness innovative technologies to create compelling interactive experiences. 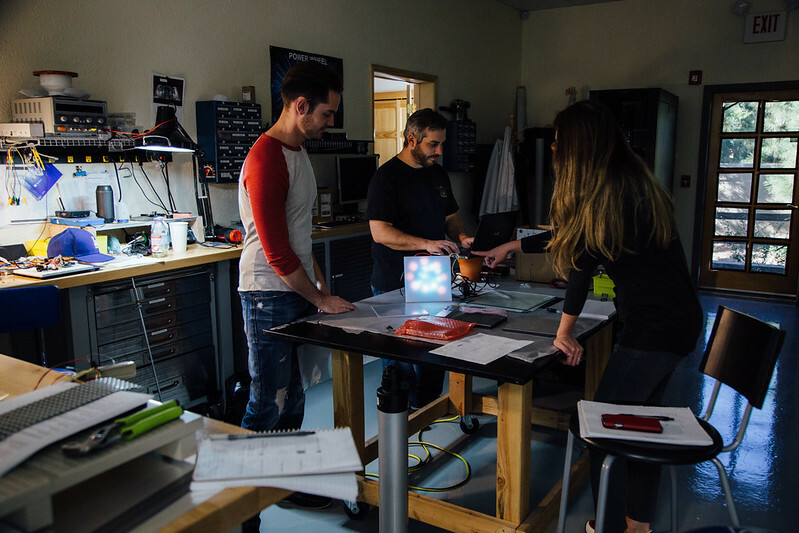 Our 40+ employees form an inter­disciplinary team including designers, software develop­ers, hardware engineers, AV special­ists, educators, and scient­ists. Ideum has over 27,500 square feet of exhibit design and production space in four buildings in Corrales, New Mexico, just north of Albuquerque. Ideum has worked on custom exhibit projects with some of the world’s most influential museums, design firms, Fortune 500 companies, and iconic brands. 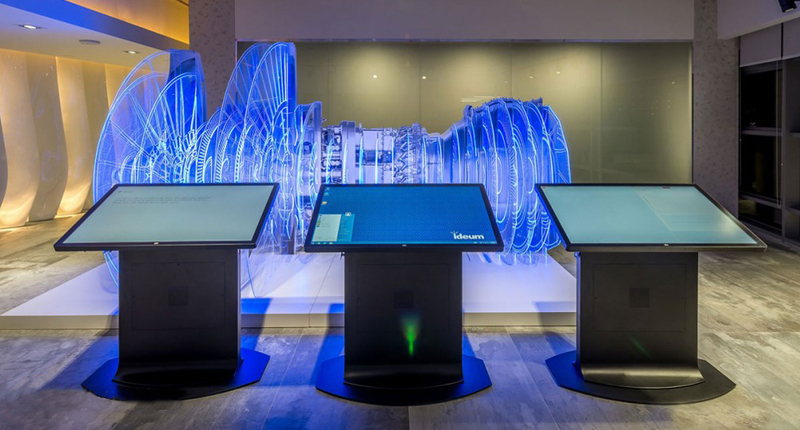 Ideum and Exploratorium Global Studios have collaborated on several custom-fabricated interactive exhibits for a Turkish science center. Sometimes projects come along that draw us outside of the realm of multi-touch table development, challenge us in new ways, and allow us to show off the full range of capabilities that Ideum’s multi-talented staff offers, from graphic and user-experience design to software development, content creation, engineering, industrial design, animation, and hardware development. Recently, Ideum collaborated with Exploratorium’s Global Studios on one such project to build a series of interactive exhibits for a new science center in Turkey. The Exploratorium is a premier, interactive science museum in San Francisco, but they also make their services available to clients around the world through their Global Studios department. 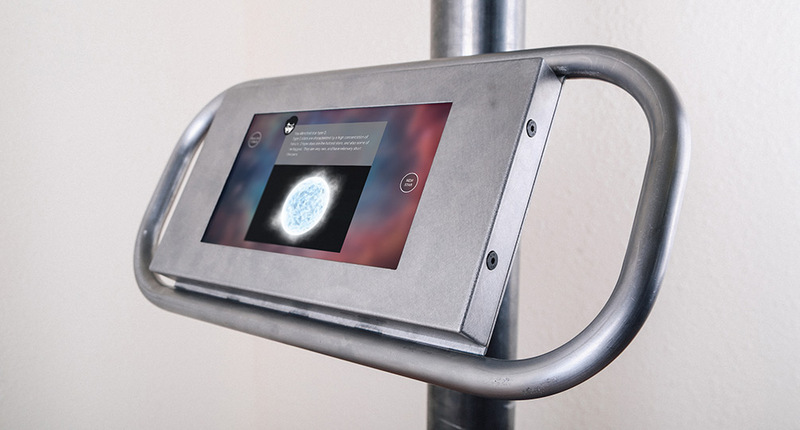 The three first-of-their-kind interactives focus on a wide range of scientific subjects, and present information to visitors in a wholly engaging way. In one interactive, visitors play a game to learn about star identification. At the heart of the activity are 3 prop “telescopes” through which visitors view star types and their corresponding spectral patterns. Through the telescope viewer and its associated Windows Surface Tablet touch display, visitors try to correctly identify a star based on its spectral pattern. Final telescope fully assembled and running prior to powder coating. Ideum’s industrial designers and engineers worked closely with the team at the Exploratorium to develop these complex props, which were fabricated, assembled, and tested here in New Mexico. 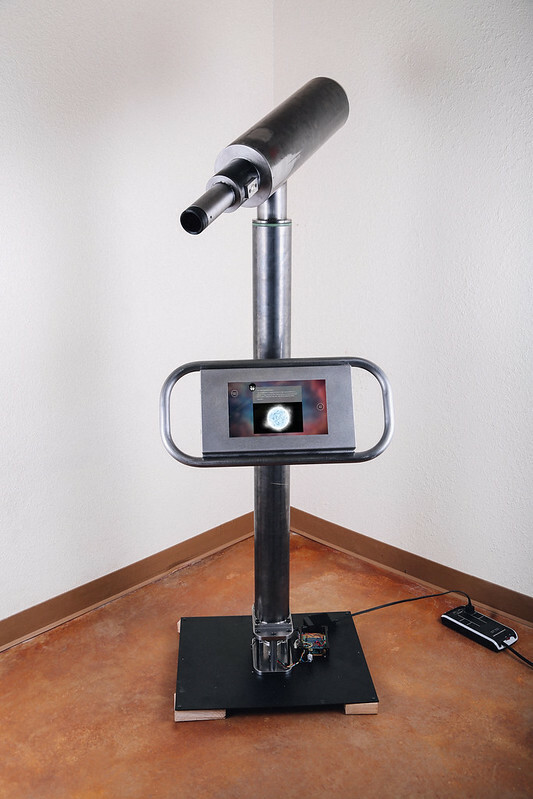 The telescope utilizes an embedded 4.3″ LCD screen to view each star. The stars move across the LCD as the visitor pushes the telescope from left to right. 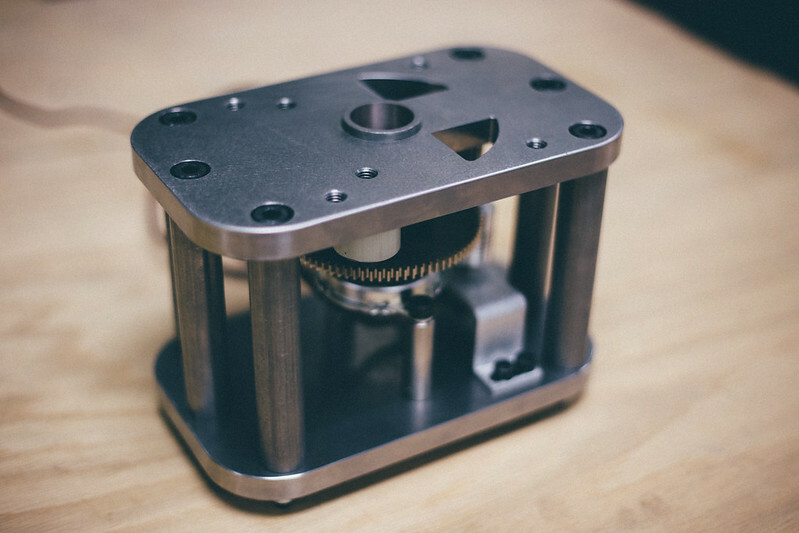 A rotary encoder embedded into a gear box at the base of the telescope relays positional data to an Arduino which then communicates that data to the application running on the Surface tablet. 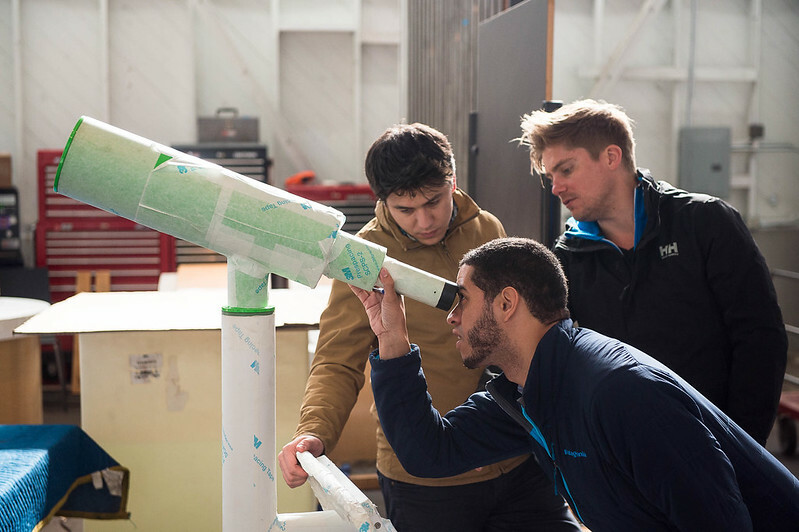 Exploratorium Project Coordinator, Daniel Bering, tests the final, powdercoated telescope before shipping it to Turkey. Photo courtesy The Exploratorium. In another interactive game, visitors learn about materials found in nature (wool, nacre, petroleum, etc.) by matching those materials with clues about their unique properties. Assembled “Treasured Materials” interactive undergoing final testing before shipping to Turkey. This interactive can be played in single-player or two-player mode. Each player has a set of 10 clear acrylic pucks that are embedded with natural materials and have a unique RFID tag on their underside. Clues are presented on the player’s touchscreen, and they must determine the material that those clues are referring to. The Ideum team in the process of developing various platform animations. To answer, the player places a puck on an animated 32×32 LED panel powered by a Teensy microcontroller. An embedded RFID reader scans the tag from the puck and the user is presented with a different animation based on their response. The visitor receives visual feedback throughout the game, providing an arcade-like feeling. Points are awarded based on correct answers. Light from the platform refracts through the acrylic nacre puck. For the third application, Ideum developed the software for a large-scale, Magic Planet interactive. Global Imagination develops the compelling Magic Planet hardware, an internal projection globe that displays various, dynamic animations about Planet Earth. On a 32” touch-screen, visitors pull up various datasets on the 6ft diameter globe to learn the story about our changing planet–from plate tectonics to ocean currents. 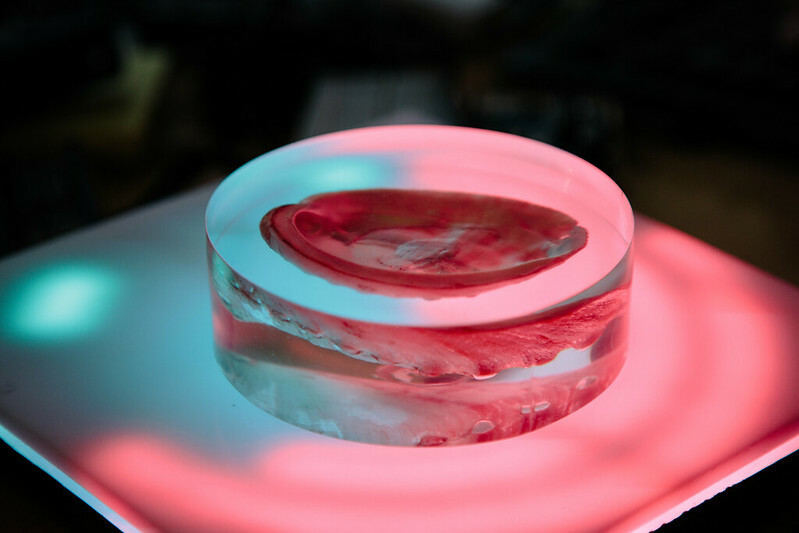 In the coming weeks and months, we plan to share more details about this project through a larger case-study that will detail the various technologies that we experimented with and employed in order to bring these interactives to life. Stay tuned! Copyright 2019 BY Ideum. All rights reserved.